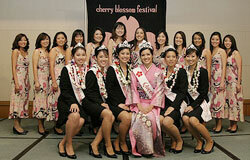 The Cherry Blossom Festival is one of the longest, continually-running ethnic festivals in Hawaii. The purpose of the festival is to perpetuation the Japanese culture and to enrich the lives of young women of Japanese ancestry. 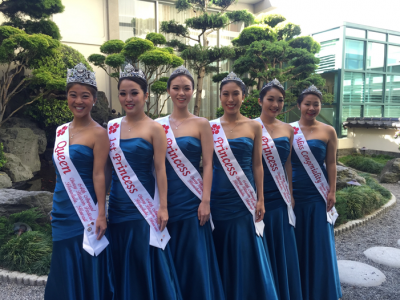 Queen Contestants are given the opportunity to learn about their Japanese heritage, improve their poise and public speaking and develop leadership skills through numerous cultural and training classes. The Cherry Blossom Festival is one of the longest, continually running ethnic festivals in the State of Hawaii – originally started in 1953 by the founding fathers of the Honolulu Japanese Junior Chamber of Commerce. 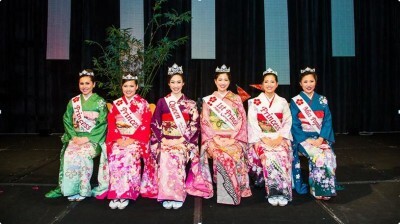 Participating in the festival is the 63rd Cherry Blossom Court; Queen Kimberly Takata, 1st Princess and Miss Congeniality Rosalei Chinen, Princess Jessica Kaneshiro, Princess Kyla Teramoto, Princess Celina Quach and Miss Popularity Heather Miura. The Honolulu Japanese Junior Chamber of Commerce continues its sponsorship of the Cherry Blossom Festival, one of the state’s oldest ethnic celebrations. 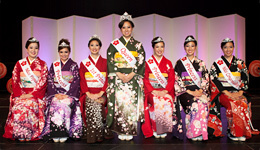 The 62nd Cherry Blossom Festival Court includes Queen Sarah Kamida, First Princess and Miss Congeniality Chelsea Okamoto, Princess Nicole Ansai, Princess Cara Tsutsuse and Miss Popularity Alysha Tanabe. Now in its 63rd year, the Festival and its supporters hope to continue this tradition for many years to come. 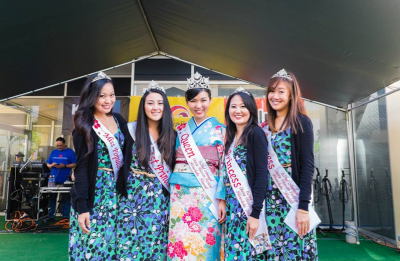 The Cherry Blossom Festival continues to be one of the longest, continually running ethnic festival in the State of Hawaii and is sponsored by the Honolulu Japanese Junior Chamber of Commerce. Members of the 61st Court include: Queen, Crystine Ito, 1st Princess Lori Higashi, Princesses, Leila Mitsunaga, Kellene Sasano and Misha Maletta, Miss Congeniality, Eryn Kawamoto and Miss Popularity Ashley Higa. 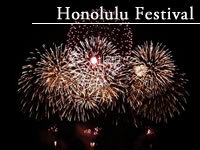 Sponsored by the Honolulu Japanese Junior Chamber of Commerce, and thanks in large part to the generosityand support of major corporate sponsors and tireless volunteers, the festival continues to be one of the longest running ethnic celebrations in the State of Hawai’i. This year the annual Cherry Blossom Festival celebrates its fifty-seventh anniversary. Sponsored by the Honolulu Japanese Junior Chamber of Commerce, and thanks in large part to the generosity and support of major corporate sponsors and tireless volunteers, this annual spring-time festival continues to be one of the longest running ethnic celebrations in the State of Hawai’i.